My first exposure to the French Ysengrin, To Endotaton is a daunting, 40 minute, single track excursion into darkness which fuses numerous genres into an appreciable whole. Normally, I muster some degree of apprehension towards such swollen compositions. 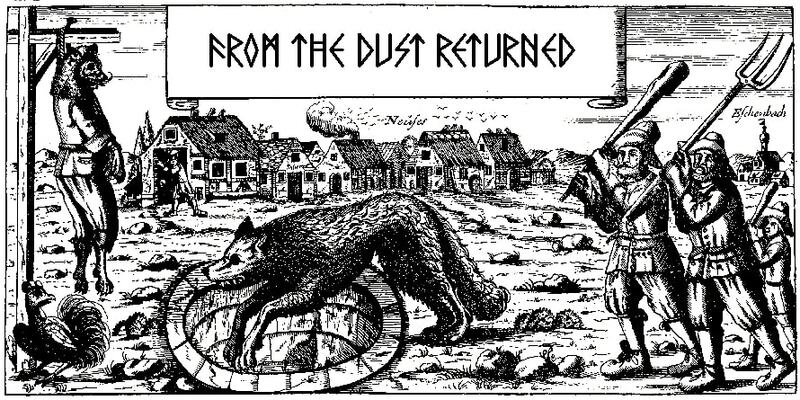 So few truly master this aspirations with balance and conviction, save for the rare exceptions like Sabbat's The Dwelling; many seem to simply merge a number of disparate movements into one sum, and to some degree I felt the same of To Endotaton. Clearly there are places throughout this piece which could have been rendered down into separate suites, without a sacrifice in concept or quality, but I must say that its format is perhaps the sole tangible detriment to what is otherwise a fantastic album, something I suspected after browsing the band's present roster, which is culminated from the ranks of other strong acts like Darkenhöld, whose 2010 debut A Passage to the Towers... was excellent, atmospheric black metal. 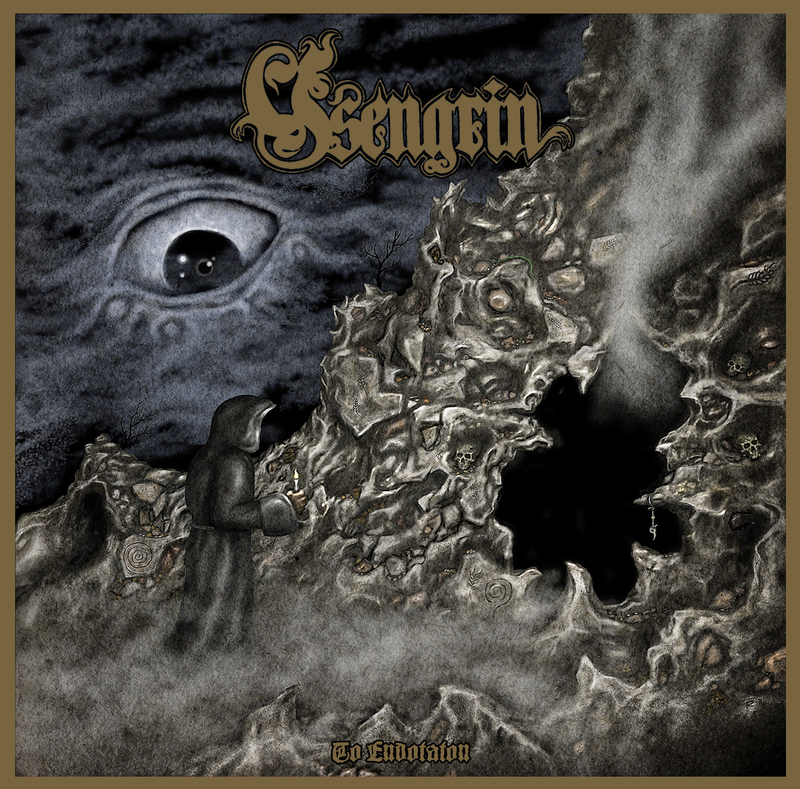 Ysengrin's primary motif would be rooted in the death/doom aesthetic, with a lot of slow to mid paced, lurching palm muted riffs redolent of Black Sabbath, My Dying Bride or Paradise Lost slathered in a massive guttural growl. Think Hooded Menace meets Candlemass and you're somewhere near the right ballpark, but the Frenchmen also incorporate variation in the form of pure old school death and black metal breaks, not to mention some wicked, straight heavy/doom riffs that erupt into sheer headbanging pleasure. Beyond that, there are beautiful passages of classically-inflected clean guitars, backing synthesizers and organs set up sparsely at just the right joints in the album's framework to intensify its exotic, morbid and soul sucking affectations. As I hinted above, there are certain obvious areas throughout "To Endotaton" in which one feels almost like a new track is beginning, only the incremental pauses have been removed, but that's not to say that there isn't a unified pace and theme throughout, with a lot of cohesive, steady drums and slower paced guitar patterns that flow very well into one another. A few of the transitions are breaks in the drums where a faster paced guitar will start ringing off, soon joined by the rest of the band, but otherwise it's a smooth course of action, an ebbing tide of sadness and crushing weight. Even better, they've written some superb riffs which will doubtless turn the heads of many listening, regardless of whether their primary poison is death, doom or black metal; To Endotaton was obviously the labor of men who wished to mete out equal portions of melody, suffering and heaviness, and they set it all up with such a broad and bright production that you can experience every spellbinding note procession without straining yourself. One of my favorite performances here was the bass, which grooves along at a brighter, curving contrast to the thicker guitars, creating an ambivalent sense of progressive/psychedelia that really adds a lot to the otherwise simple, funereal riffing; but in general, all of the guitars and synthesizers are eerie and effective. 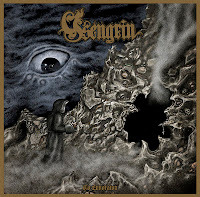 The guttural vocals are the natural fit to the varied musical substrate, though they rarely vary in pitch or formula, but this shouldn't prove a problem for fanatics of decades of death/doom cohabitation. In the end, this is seasoned, carefully composed music which endures in the memory well after the finals notes resonate unto oblivion. Would it have been better if split into 4-5 individual components (their older albums took were comprised of numerous tunes)? Perhaps, but apart from that one criticism, this is another outstanding French band. A spellbinding, atmospheric success for I, Voidhanger. An easily recommended escape.